It’s hard for me to believe but this weekend will mark my 3 month blogiversary. I’m not gonna lie I feel a little proud for keeping up with it for this long. Someone told me when I first started that many blogs don’t make it past two months so it feels like a small victory. The last three months I have found myself getting sucked into to everything blog whether it is social media, participating in linky parties, taking pictures, jotting down ideas, researching, or reading other blogs. While it has been overwhelming it has also been a lot of fun and motivated me to learn about a lot of new things. I’ve spent a lot of time playing around with different WordPress themes and I have to tell you I’m so indecisive that I don’t think I’ll ever be truly happy with any of them. Although this may be because of my quest to not pay for a theme (I’m being cheap I know). Finding the right sharing button’s has also been hard for me. If anyone knows of a good sharing button that will publish your featured photo along with the link I would greatly appreciate you sharing which one you use. #TribalChat- I have finally been able to get the hang of tribal chat. It’s a weekly twitter chat session with a beautiful group of parenting and lifestyle bloggers. Some one from the group hosts every week and prepares a list of about 5 questions that help us get to know each other better and also start up good conversation. We are not ashamed to admit that a lot of our chats involve mention of cake and big bottles of wine. You can find out more about us by following on twitter @TribalChatTweet we would love to have you as we are a very friendly bunch. Linkies- I mentioned linky parties in my First Month Blogging Post but I will say it again “I absolutely love linky parties”. 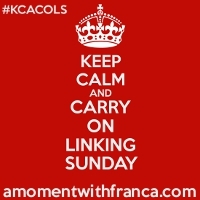 I am thoroughly amazed at my fellow bloggers who host linkies and keep up with them so well. I don’t have the exact figures but I would have to say 80% of my comments come from the linkies I participate in. I could probably write an entire post about my favorite ones (maybe I will). The only problem is that there are so many great ones that I can’t really participate in them all each week. So I try to hit them all at least once a month. Twitter- In the last three months I have reached over 1,500 followers which I am very pumped about. I am hoping to reach 2,000 by the end of the week. You follow me here @teammomlife to catch up on my latest posts and interact. At this point twitter is what I use the most in terms of social media as it’s where I am able to find so many new people and blogs to connect with. #MonthlyMileClub- If you haven’t heard yet this month I created a walking challenge where anyone can register and sync up their fitness trackers to help motivate each other in being more active. My hope is that we can set a community mile goal each month and work together to reach it. Anyone who is interested in learning more can check it out here. While creating the challenge I learned how to design and code my own blog badge which ended up working out pretty well. Stumble upon- Until a few months ago I had never heard of stumble upon. 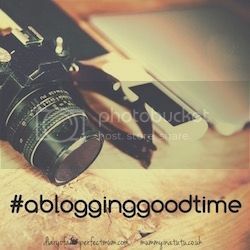 I just happened to over hear a few of my fellow #tribalchat bloggers talking about it by chance and it has drastically helped me in my blogging journey. If you haven’t tried out the app you should really check it out. Ever since I started submitting my posts and other people’s posts that I enjoy my traffic has doubled. I’ll admit it seems like some weeks I only get a few views but when it’s working well I have gotten up to fifty. What goals have you set for yourself? What is your favorite social media platform? What struggles and triumphs have you had while starting a blog? Wow only 3 months of blogging and you’ve accomplished a lot. Well done! My goals are to simply continue enjoying what I’m writing and improve my blog’s look and functionality. I have another goal which isn’t as important, to get published on Huffington Post. My favourite social media platform is Twitter, to be honest, mainly due to Tribal Chat! The struggles I’ve encountered have been due to myself, doubting whether I’m any good at writing. Triumphs would be winning featured blogger on #BloggerClubUK one week and also on #PuddingLove. Thanks Sarah! I agree that Twitter is mostly fun because of tribal chat. It is also very hard not to doubt yourself. But I love your blog! Thank you! I feel like I will always think of myself as a newbie. Thanks for commenting. I definitely don’t think of you as a newbie! Thanks for commenting lovely. Good for you as well! We will just have to keep on rocking it. Happy Blogiversary!! Your blog looks fantastic for just three months old 🙂 – Well done on everything you’ve achieved so far! Thank you Ellen that is very sweet of you to say. I appreciate you reading and commenting! Love hearing about new bloggers and their experiences! I have just started in the last few weeks! It’s been so much fun so far and I am looking forward to getting all my thoughts down and all of the exciting things we get up to as a family through my blog! Good going for 3 months. You’re certainly getting stuck in. I’m nearly 4 years in and still love it. Thanks! I definitely feel like I’m committed now 🙂 I appreciate the comment. this is a great post, i’ve been blogging for 2 months and I just came a cross linkies in the past few day.. I still seem clueless at times This post is going to really help me 🙂 might try out stumble upon if i figure out how it works…lol and also might try out twitter and tribal chat. I’m glad that you have found it helpful. DM me on twitter if need some help figuring out stumbleupon! This is so helpful! I’ve been blogging for 5months and still feel clueless!! I’ve seen the linkies but can’t figure out how they work. I’m very technologically disordered but trying 😊! I think we all feel clueless when it comes to learning new things about blogging. Currently I am trying to figure out how to run a giveaway. Thanks for reading and commenting! Thank you Fi I appreciate your kind words! Yes I am one of your followers, I thought I was and can see you have reached your 2000 followers target! 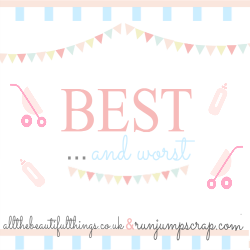 Hello and welcome to the #bestandworst linky, thanks for linking up. Well done for keeping up with the blogging, it can be tough but it is alot of fun. Thanks again anad hope you’ll link up again. It is definitely addictive at times! Thanks for commenting. There’s so much to do when you start a blog eh! I’ve only been doing it a few months too and you’re already leaps ahead of me! I just don’t get Stumbleupon, do you? It seems like some days it’s throwing loads your way then it just stops!? I definitely agree about stumbleupon. Much of the time I just get a few hits but it’s better than nothing. Thanks for reading and commenting! I’m sure you have achieved a lot! I think it’s a huge accomplishment just to keep one going. Stumbleupon can be a bit of an adventure. Good Luck! Thanks for the tip I will have to check it out! It is quite a great place to share your creativity. Thanks for reading and commenting! My blog is almost 19 months old now, which seems crazy to me! The time flies for definite 🙂 Twitter is probably my favourite social media, with Instagram a very close second! Here’s to many more fabulous months of blogging! Thanks for the tip I definitely need to check that out! It does feel like you have to learn something new almost every day in order to keep up. Thanks for reading and commenting! Thank you Tim! I appreciate your kind words.